Our office is please to provide a wide array of services, all in a comfortable, friendly setting and conveniently located near the C-Train and various bus routes. At Abougoush Family Dental Care we are proud to offer cosmetic dentistry treatments including dental implants, porcelain veneers, and teeth whitening. We’ve been serving Calgary families since 1971. Our FAQ page has answers to many common questions that our clients have asked us! Looking for a family dentist in Calgary? 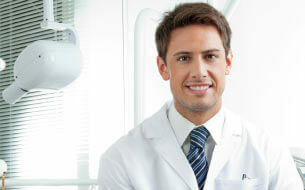 Abougoush Family Dental Care offers a comprehensive range of general and cosmetic dental services. From general cleanings and teeth whitening to the treatment of crooked, damaged, or missing teeth, our dental clinic in Calgary accommodates the whole family. We understand how inconvenient it can be trying to find a dentist that provides care for adults as well as children, teens, and seniors. With our long list of dental services, Abougoush Family Dental Care hopes to be the family dentist in Calgary you turn to first. As a Calgary dentist, Abougoush Family Dental Care is committed to providing you with the most appropriate procedure, personalized to your needs, and carried out professionally, by specialists, when required. No two smiles are alike. That’s why we take the time to build up a relationship with you and your family. We get to know your specific oral health needs as well as your dental health history in order to provide the right care. Whether you’re coming in for a routine cleaning and exam or require more involved treatments like root canal therapy or a wisdom tooth extraction, Abougoush Family Dental Care is the Calgary dentist you can trust. Our preventative, restorative, and cosmetic treatments can help restore missing teeth, remove discolouration, reduce dental pain, protect your teeth from infection and decay, and leave you with a generally healthier-looking smile. 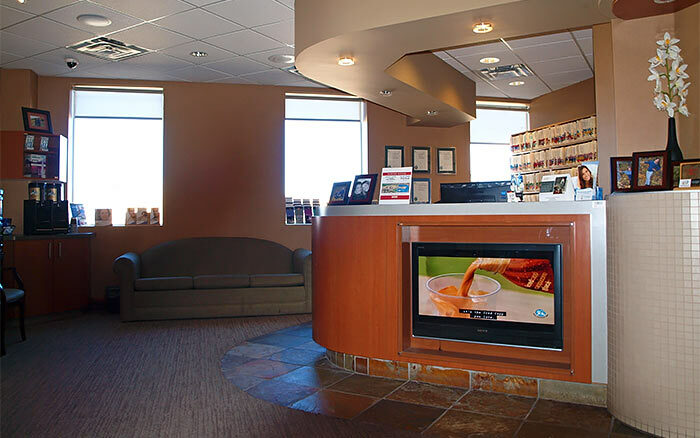 See what we offer at Abougoush Family Dental Care, your Calgary family dentist of choice. For a comprehensive list of family general and cosmetic dental care services at our office, contact us for more details. The state of your teeth says a lot about you, as a person. Aesthetic, healthy-looking, and well-maintained teeth are far more likely to give off the impression of success and confidence. Our mouths also contribute to our ability to communicate with another! Mouth pain and teeth with poor structural integrity severely compromise our ability to maintain effective day-to-day health communication. Don’t take your mouth for granted. Calgary’s Abougoush Family Dental Care clinic is a dentist in Calgary equipped to provide you and your family with a wide range of dental services. Our Calgary dentists are capable of treating multiple generations of family members all the same dental clinic in North Hill Mall! From your child’s first dentist appointment, to root canal and dental implant procedures, our wide-ranging services and procedures are sure to meet your family’s needs.